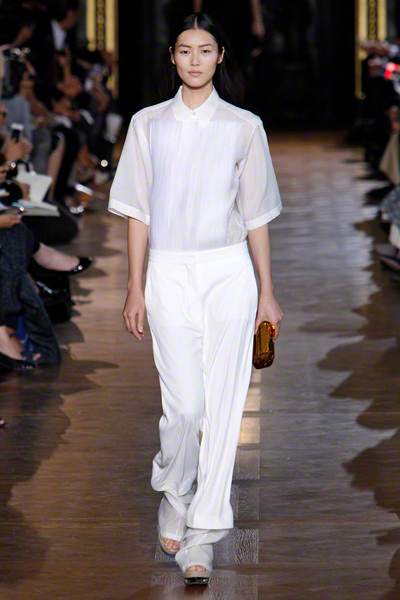 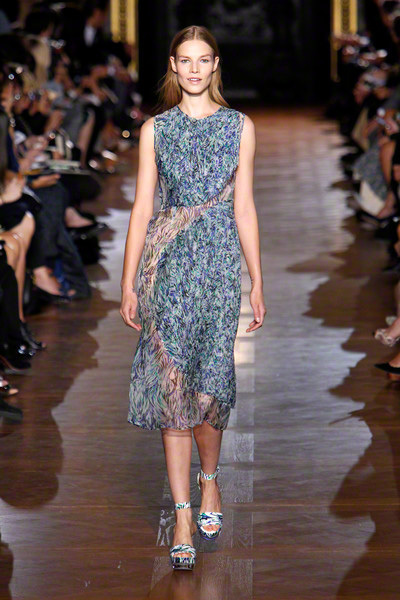 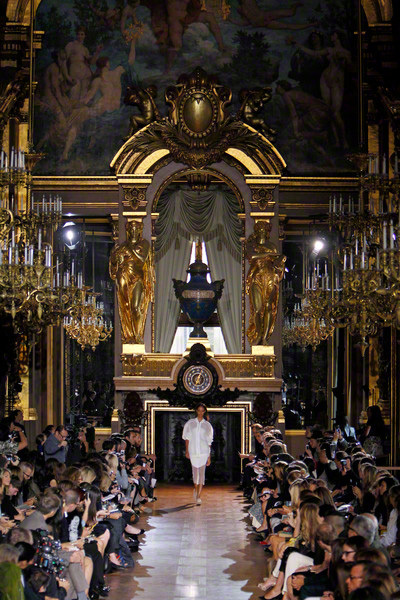 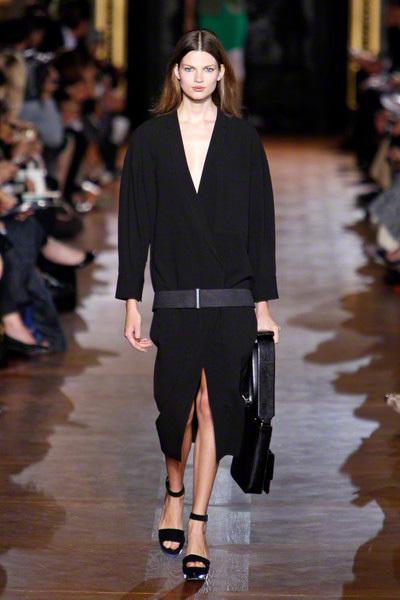 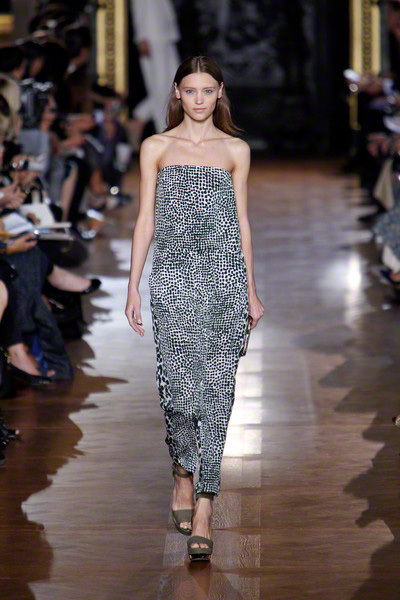 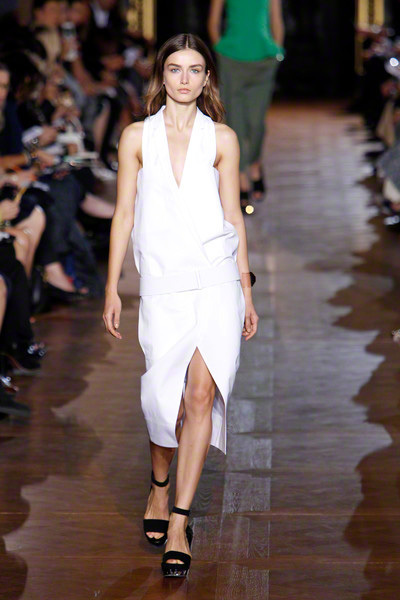 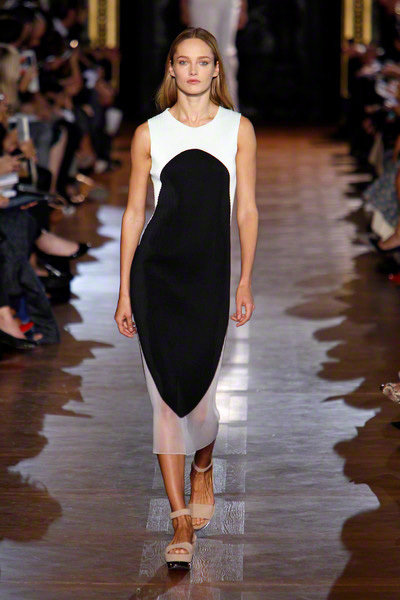 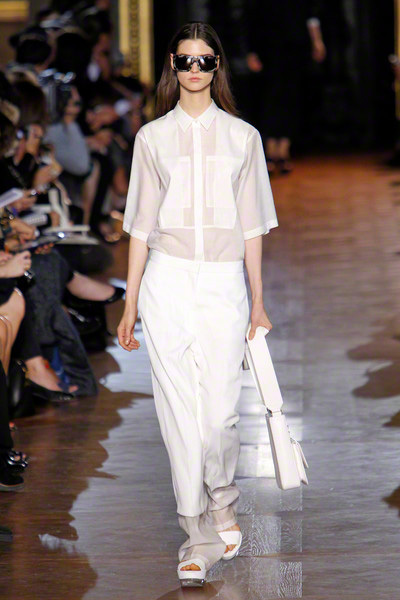 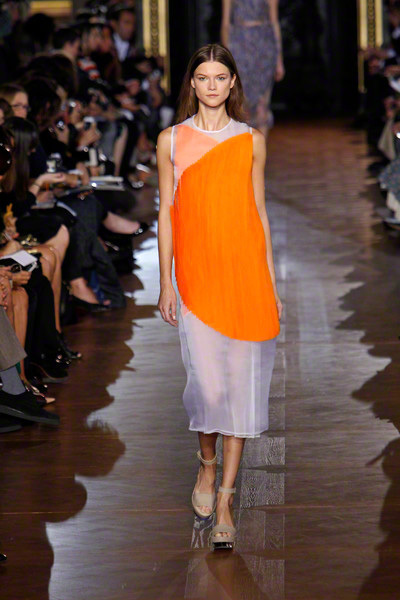 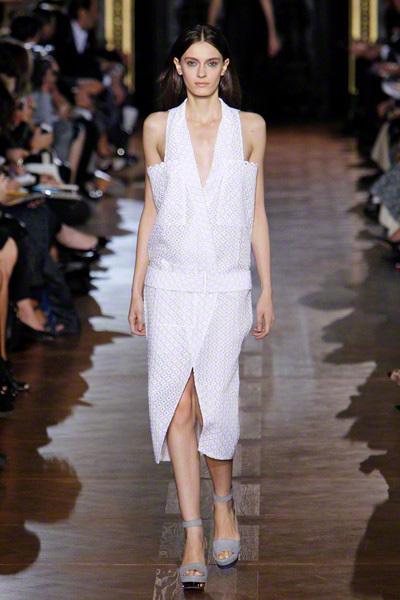 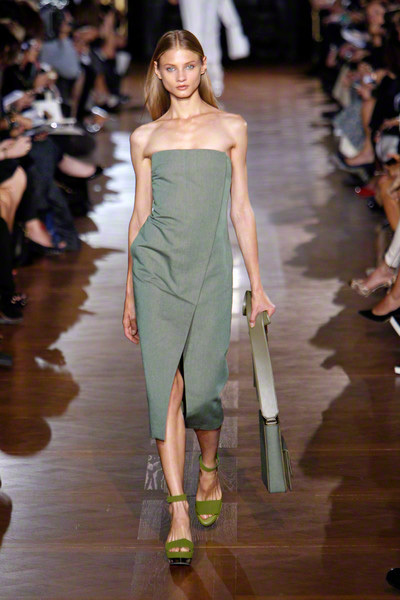 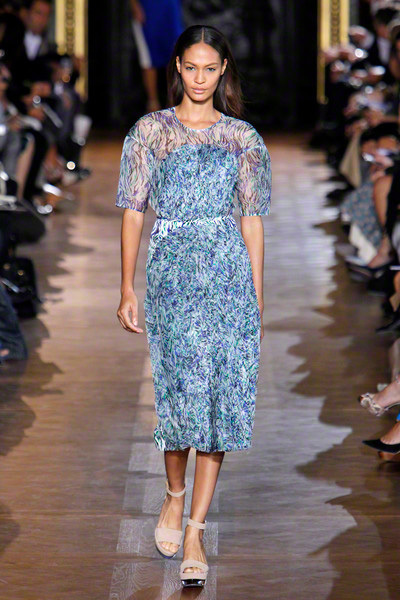 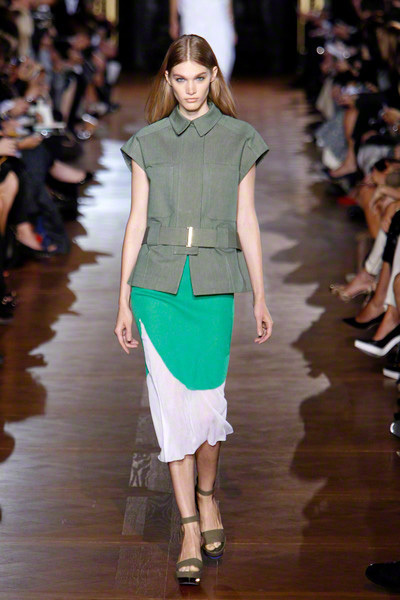 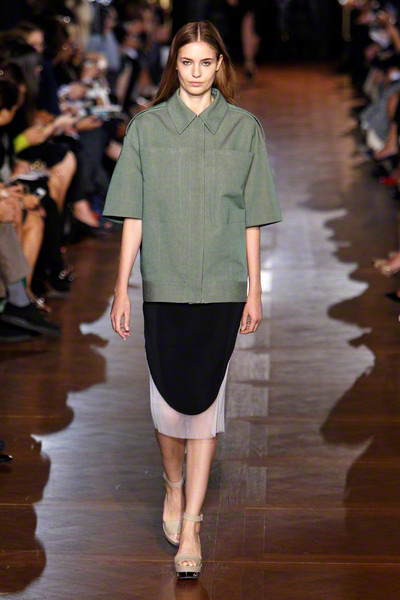 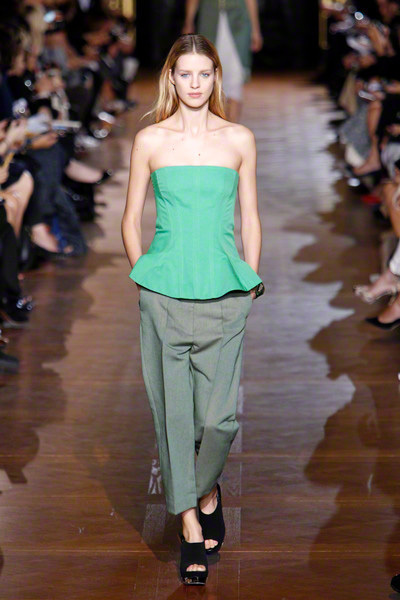 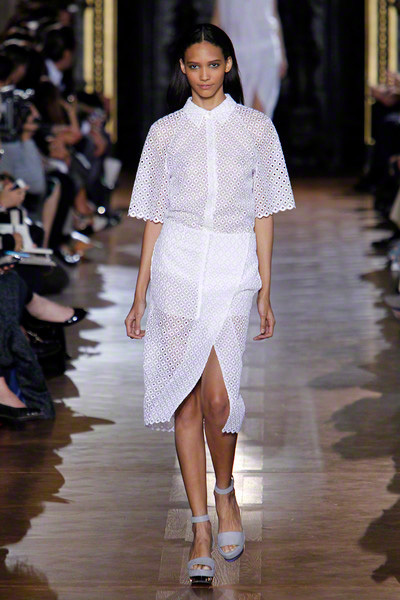 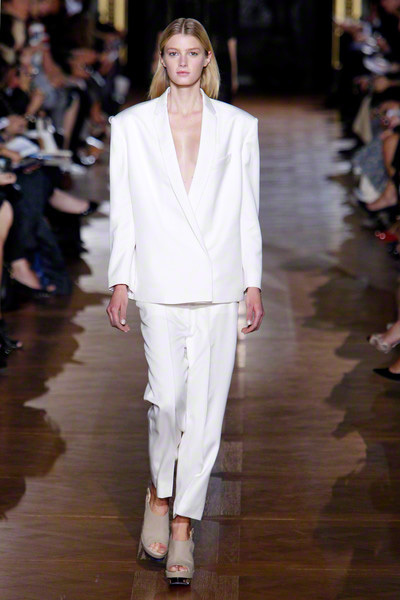 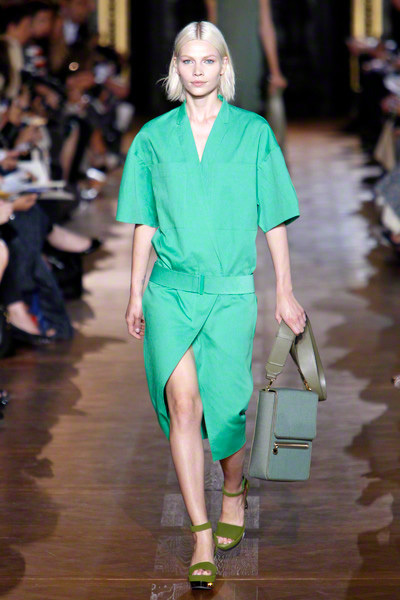 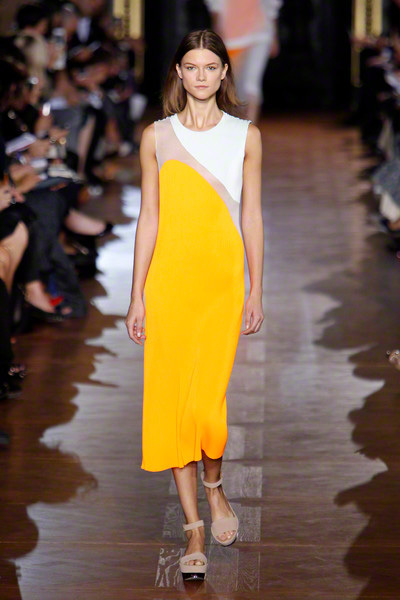 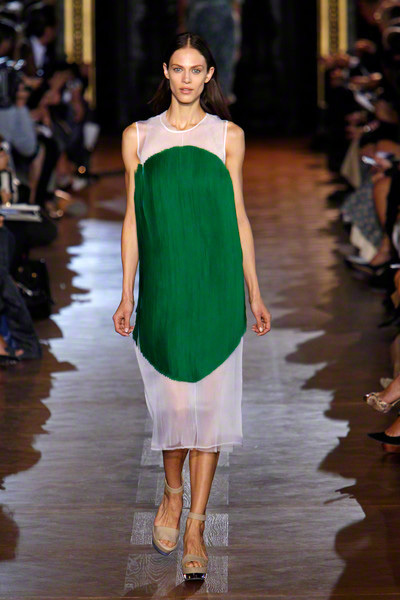 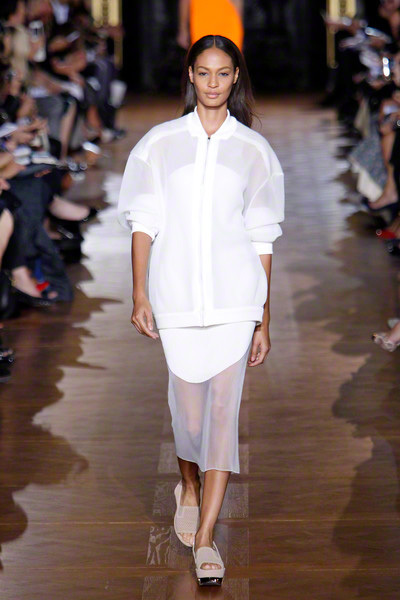 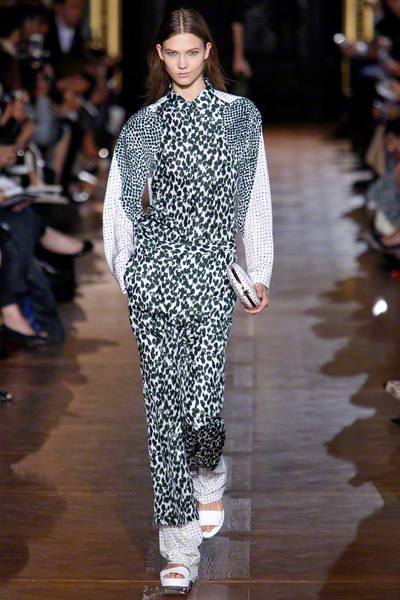 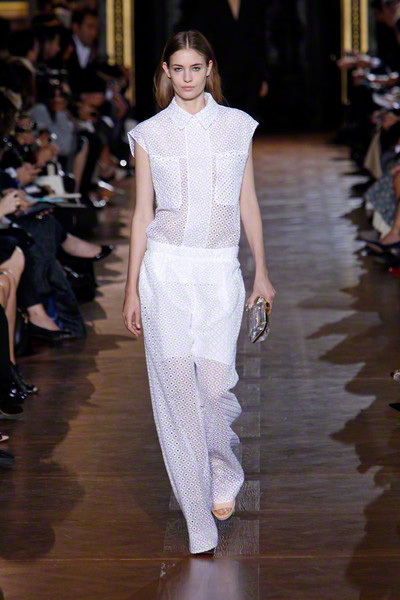 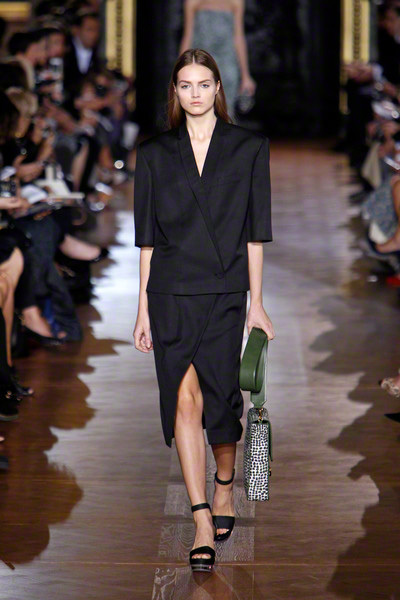 Stella McCartney seemed in a happy mood regarding her ss2013 collection in vibrant whites, oranges and shots of green – and some black. 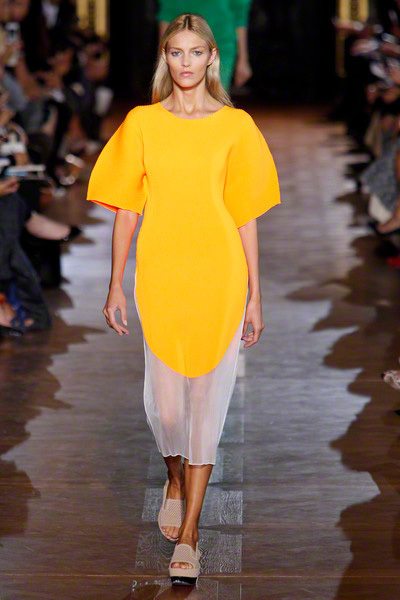 The colors were incorporated into an inventive lineup. 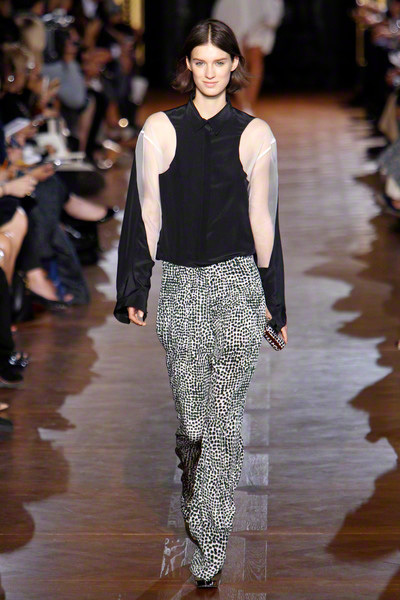 In a season where sheer fabrics and layers are seen everywhere, McCartney added layering pants — see-through pajamas under cropped trousers or long, crisp eyelets over snappy shorts. 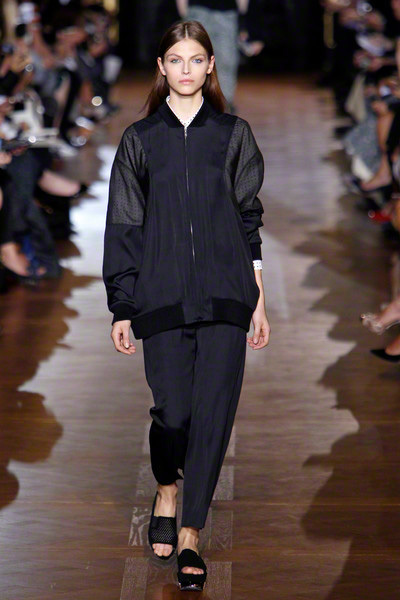 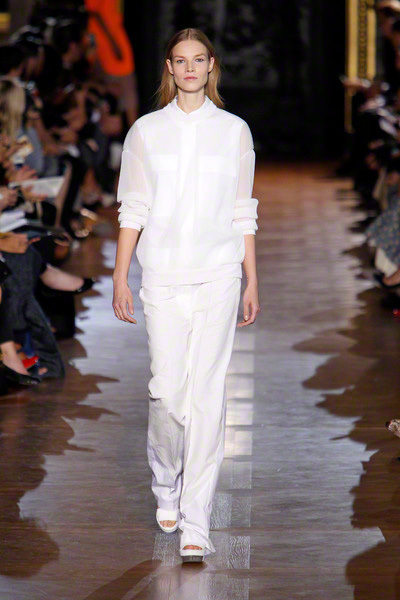 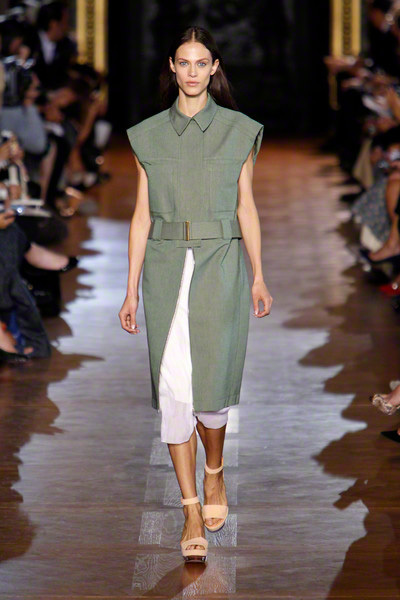 She also used structured organza for an warm-up jacket and sweatshirt. 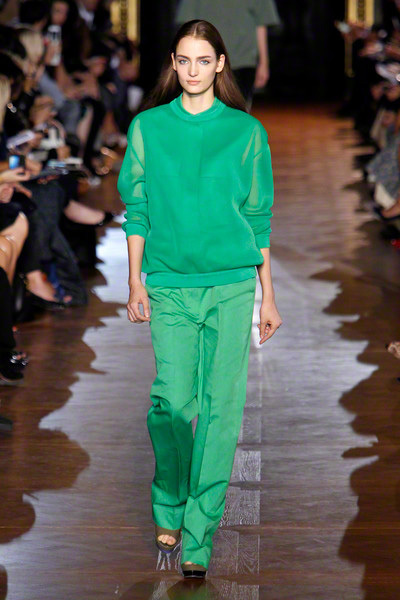 And McCartney combined sweatshirts over a dress in a key motif, superlean ribbed knits featuring big, bright ellipses on sheer plissé. 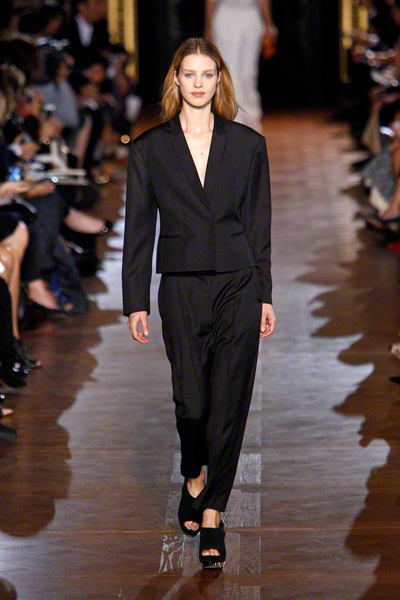 On the tailored side, low-belted jackets and tuxedo-inspired day dresses looked simple and smart. 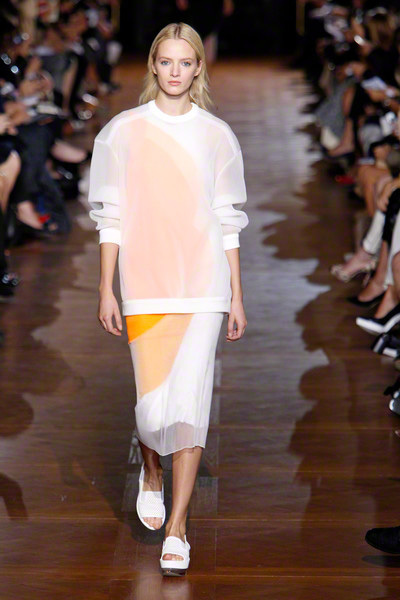 A graphic component ran throughout, achieved with geometric layering and the recurring elliptical motif.